which brings forth the manifestation of beauty. Presence is care expressed through words and actions in daily life. 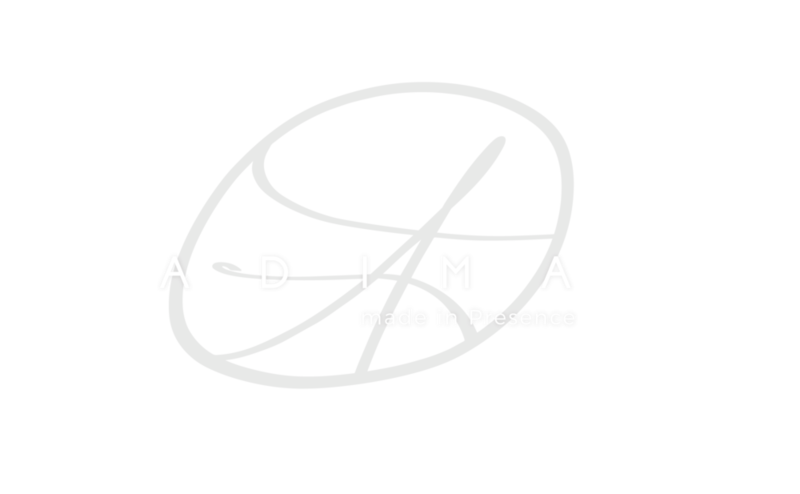 that Adima’s unique and original creations come to life. Working daily with care and integrity: this is our priority. Aware of being one of the many threads that make up an economy which could make a difference, we stand out for our attentive working process, in which we are constantly aware of the consequences of our daily choices. Within this consciousness we steadily work towards a continuous improvement both of the product and the way it is produced, merging nobility of intent and ethically sustainable choices all aimed at the common good. We are in via San Maurilio n. 19, Milan.